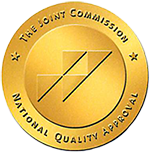 South Suburban Gastroenterology appreciates your feedback. Please follow the links below to leave your feedback on the review site of your choice. If you have any questions or need assistance with leaving a review on Google or Yahoo please select a link below for instructions. How Do I Write a Google Review for South Suburban Gastroenterology? 1. Go to www.Google.com. 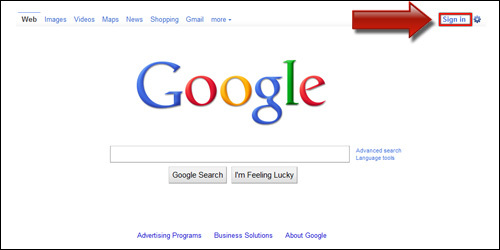 Click the “Sign in” link on the top right of the Google homepage. 2. 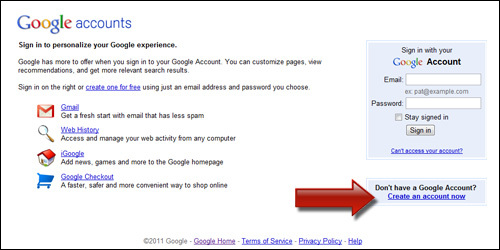 Click “Create an account now” on the right side of the Google Accounts page. 3. Please enter your information and set up your username and password. Click “I accept. Create my account” when you are finished. 4. Lastly, you will be asked to verify your account. Google will give you 2 options. 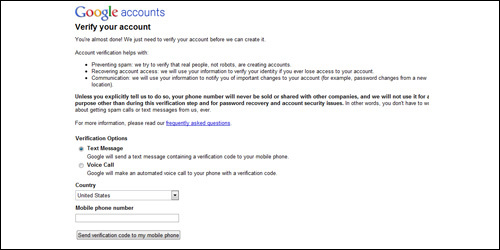 You can either send a text message to your mobile phone that will include a verification code, or you can have Google give you an automated phone call with a 5 digit pin code. Choose whichever option is more convenient, and once you receive your pin code enter it on the next screen. 5. 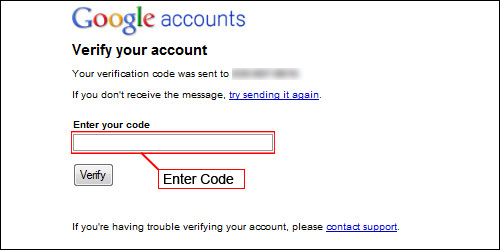 Once you have entered your pin code, your Google Account set-up will be complete and you will be able to leave a review South Suburban Gastroenterology Google Places page. Please click the “Review us on Google” button at the top of this page. 1. Click on the “Review us on Google” button at the top of this page. 3. 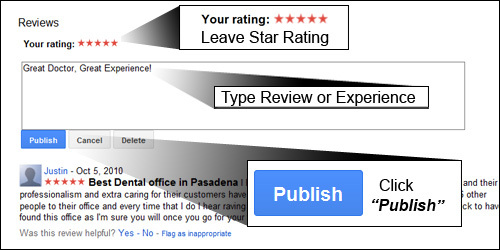 Use the 5 stars to rate the practice and include a few sentences describing your experience. Once done click Publish. How Do I Write a Yahoo Review for South Suburban Gastroenterology? 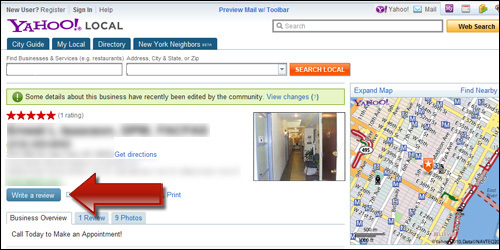 Note – In order to leave a review for the practice you will need to have a Yahoo account. 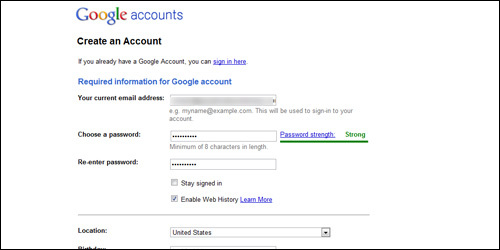 If you do not have a Yahoo account and would like instructions for setting up a Yahoo account, please click here. "Create a Yahoo Account"
1. Go to www.Yahoo.com. 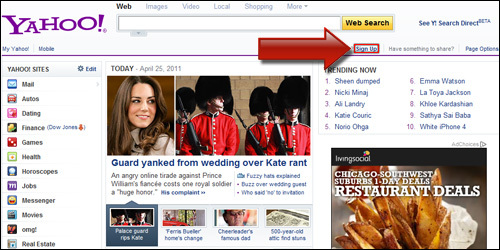 On Yahoo’s homepage there is a link under the search bar that says “New Here? Sign up”. Click on the “Sign up” link. 2. 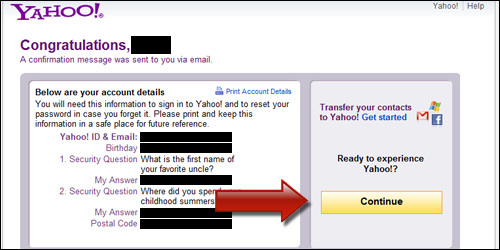 Create your Yahoo account by entering in your information, and then click “Create My Account”. 3. You will be directed to a “Congratulations” screen. Click the “Continue” button to the right to return to www.Yahoo.com. 4. Please click on the “Review us on Yahoo” button at the top of this page to be directed to South Suburban Gastroenterology’s Yahoo listing where you will be able to leave a review. 1. Click the “Review us on Yahoo” button at the top of this page. 2. 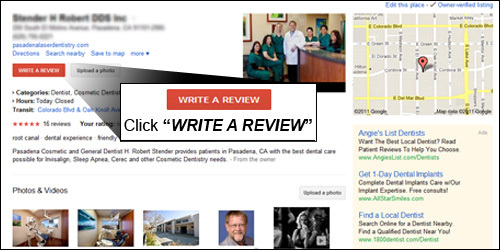 Under the basic information of the practice, click “Write a review”. *Note, if you are not already signed into Yahoo with your Yahoo ID, you will be asked to sign in. 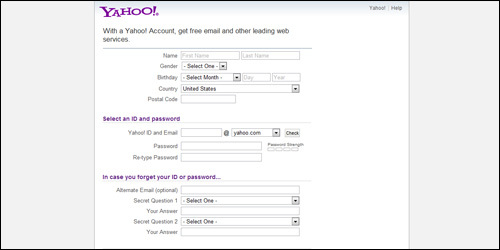 If you do not have a Yahoo ID please see the instructions on "Creating a Yahoo Account". 3. 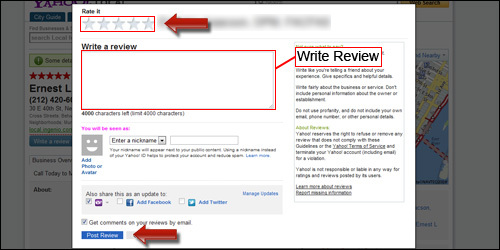 In the review window please leave a star rating, a written review of your visit or experience with the doctor and click “Post Review”.